We are committed to working collaboratively to harness the talents and insights of all to reduce waste and optimize efficiency. Our lean journey involves every team member on our projects to help improve processes, reduce waste and seek ways to drive efficiencies in the way we build and enhance the value of the facilities we help create. This journey challenges team members to utilize their entrepreneurial skills and innovation to support our mission to create an exceptional customer experience. 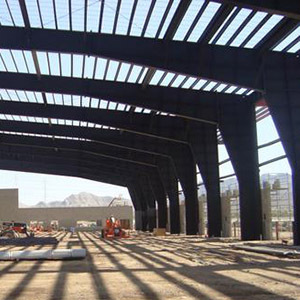 We are committed to reducing waste and optimizing efficiency through all phases of design, fabrication and construction. We regularly incorporate pull planning, identification and tracking of metrics, lessons learned, and BIM.